Dental implants have become one of the most popular tooth replacement options for many different reasons. 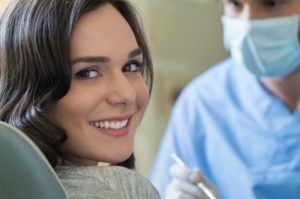 While they do bring you the obvious benefit of a fully restored smile, there are also some hidden advantages that come with dental implants in Casper. Keep reading to learn how dental implants can improve not just your smile, but your life, too. Visiting the Dentist in Casper? We’ve Moved to a New Location! Now that 2019 is just around the corner, there couldn’t be a better time to get your oral health checked out and your routine dental exams and cleanings scheduled for the new year. If you have dental insurance, you’re likely entitled to benefits that will expire at the end of December. Furthermore, Dr. Prach wanted to highlight the practice’s new location to prevent current patients from getting lost when they come back. Your dentist in Casper is excited to keep providing the exceptional care, both to patients new and old. Comments Off on Visiting the Dentist in Casper? We’ve Moved to a New Location! 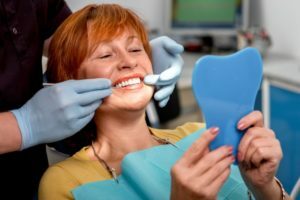 Should You Choose Dental Implants or Dentures in Casper? If you’re looking to replace missing teeth, you’re already on the right track to preventing long-term damage related to tooth loss! Over the years, dentistry has significantly advanced, providing consumers with many viable options to replace teeth. Many people are aware of traditional dentures in Casper, but more and more people are also considering dental implants. To help you make a more informed decision, take a moment to consider the pros and cons of both from a dentist. If you specifically have questions about dentures, schedule a free consultation through this limited time offer! 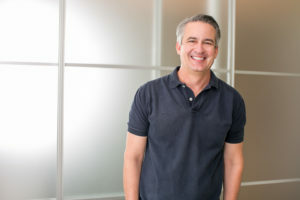 Comments Off on Should You Choose Dental Implants or Dentures in Casper? The First Visit to Your Dentist in Casper Is Free! Are you looking for a new dentist in Casper? Whether you just moved to the area, or it’s been years since you had a checkup, Dr. Prach and the rest of our team are eager to welcome you! We’re confident that you’ll love our personalized, compassionate service. In fact, we’re so confident that we’re offering a free first visit to new patients. Comments Off on The First Visit to Your Dentist in Casper Is Free! Are My Dentures in Casper Permanent? Dentures in Casper provide a sturdy and attractive way to treat extensive tooth loss. If you are thinking about getting a set of these artificial teeth for yourself, you have a lot to look forward to! However, you may have some questions. For example, are traditional dentures a permanent tooth replacement option? Are there any alternative treatments that might be suitable for you? Let’s talk about these important questions. Comments Off on Are My Dentures in Casper Permanent? Dentures vs. 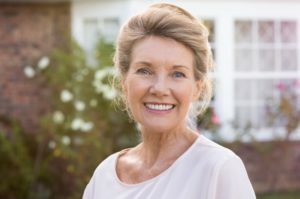 Partial Dentures — What’s the Difference? Do you have a few missing teeth? Dentures are a tried and true tooth replacement solution. They can provide you with a sturdy, natural-looking smile that can enable you to speak and eat with confidence. 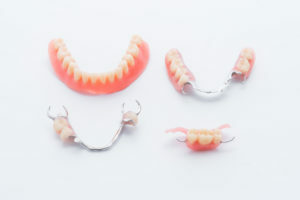 Depending on how many teeth you’re missing, full or partial dentures might be right for you. Let’s talk about the difference between these two options and what you can expect throughout your tooth replacement journey. Comments Off on Dentures vs. Partial Dentures — What’s the Difference? 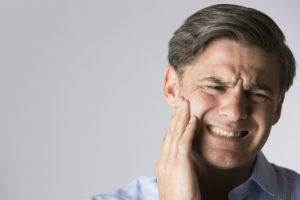 Dentures have long been a trusted solution for patients who are suffering from a range of issues related to tooth loss. Thanks to modern methods and materials, today’s dentures are more effective and natural-looking than ever before. When is it time for dentures in Casper? When you are dealing with one of the four issues we’ve listed below. Keep reading to find out about how to tell when this tooth replacement option is best for you. As a dental practice, our number one priority has always been the health and comfortability of our patients. It’s important to have a highly experienced dental team and the most advanced dental technology, but none of that matters if the patients aren’t happy with their care. That’s why your dentist in Casper wanted to extend their appreciation and highlight a few of the reviews she’s received from her wonderful patients. We always do our best to provide high-quality care, and it clearly shows. Both our Facebook and Google reviews have a solid 5-star rating. That’s incredible! As a token of our appreciation, we’ll also be offering a patient special for those interested in experiencing our care themselves. You won’t want to miss it! Your Dentist in Casper Welcomes New Patients to Visit Us! 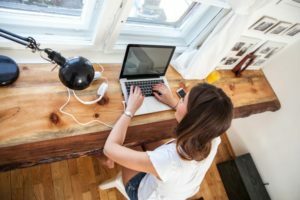 If you’re looking for a new dentist in Casper, it can be difficult—especially with so many different options available online. We can help make your hunt for the perfect dentist much easier in this week’s blog post. Learn how to find the best dentist for your needs here! Comments Off on Your Dentist in Casper Welcomes New Patients to Visit Us!